ARE YOU READY FOR DASH BERLIN ? 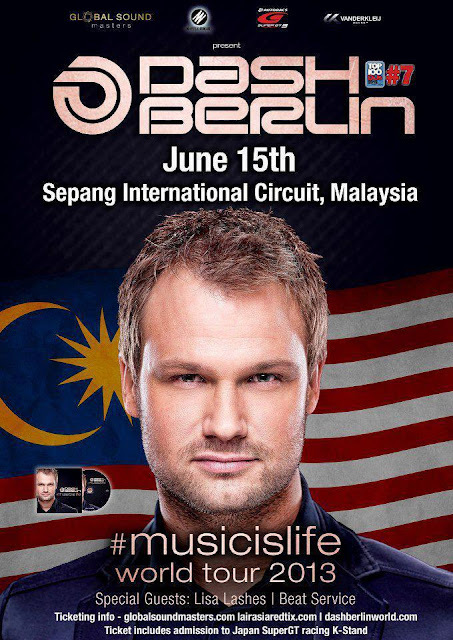 Dash Berlin returns as part of his #Musicislife World Tour. Fresh from his Australian leg of the tour and SOLD OUT shows, Dash has already given an astounding performance at worldâ€™s biggest music festival such as Ultra Music Festival, EDC Chicago and A State of Trance. Malaysia will never have enough of Dash Berlin. With SOLD OUT shows since 2010, Sepang International Circuit will make way for the highly anticipated return of this smashing performer. International supporting acts and opening acts to be announced. This event is organized in conjunction with Japan Super GT racing weekend at Sepang International Circuit. Ticket holder is entitled to enter to Japan Super GT racing event. Dash Berlin is a true DJ at heart with a profound passion for the comprehensive culture of dance music. He is often described as an invigorating and charismatic newcomer, with the unique ability to leave a long-lasting impression upon his audience well after the night is over. Dash is one of those rare individuals that seem to understand the unwritten laws of the nightclub by nature. He keeps his ever expanding, nocturnal following alert, ecstatic and craving for more, with remarkable precision and skill. One could easily mistake him for a superstar deejay. However, the truth remains that Dash Berlin views the world through the same eyes as his public. "It's virtually impossible to make progress without the continuing support of the people", he humbly said. The past four years have all caused a reverberating bang when it comes to the Dash Berlin sound. From the 'United Destination' compilation series, which reflects his recent gigs with a top selection of tracks straight from his record bag into two seamless deejay mixes, to making a great rise in the DJ Mag Top 100, taking in a solid number 7 position. 2013 promises to be another momentous year for Dash Berlin. A year all about the follow-up of 'The New Daylight'. With his brand-new '#musicislife' album, aptly named after one of his most popular Twitter hash tags, the 'Flying Dutchman' shows no signs of slowing down and is all set for his monster #musicislife World Tour. Dash Berlin's much anticipated follow-up record contains signature hits such as 'Disarm Yourself', which features the angelic vocals of Australian singer Emma Hewitt, 'Better Half Of Me' & 'World Falls Apart' the epic duology with top vocalist Jonathan Mendelsohn, the magical team up with German DJ superstar ATB on 'Apollo Road' and of course exciting new collaborations with artists such as Emma Hewitt, Shogun, Kate Walsh, Shanokee, Chris Madin, Hoyaa and Sarah Howells. British singer-songwriter Howells joins Berlin on his new single 'Go It Alone' accompanied by a gorgeous music video shot in South Africa. 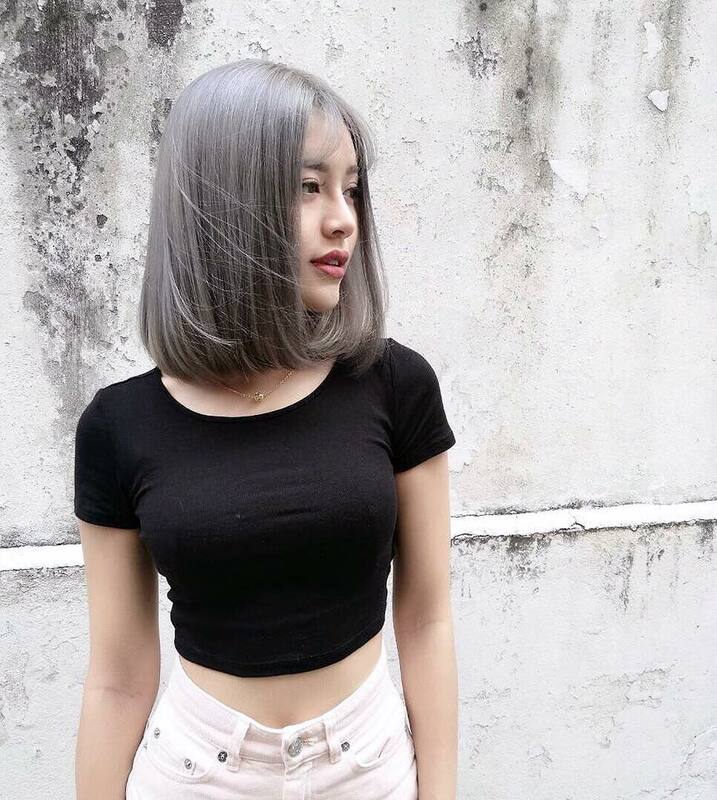 The video got half a million views within the first week of its appearance on YouTube. I'm ready for Dash Berlin !